Like Google's Bigtable and in hard competition to it, Apache HBase is an open-source, non-relational, scalable, and distributed database developed as part of Apache Software Foundation's Apache Hadoop project. It operates on top of HDFS (Hadoop Distributed File System) in the architectural structure, which has Bigtable capabilities equivalent to Hadoop. 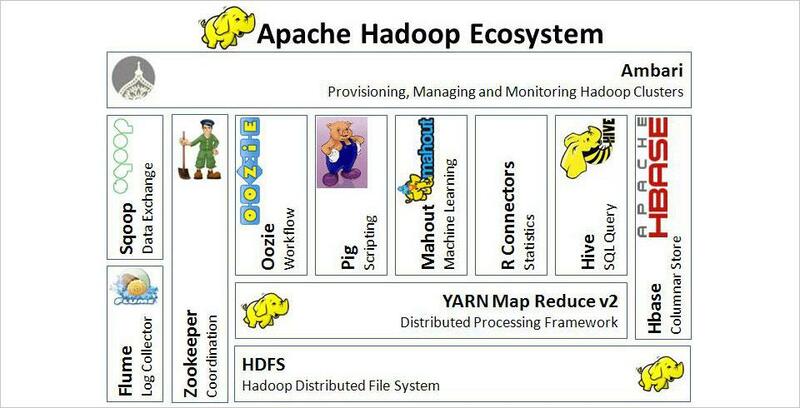 Hadoop can perform only batch processing, and data will be accessed only in a sequential manner. That means one has to search the entire dataset even for the simplest of jobs. Over others, purposes to use HBase are Data Volume (in petabytes data format), Application Types (variable schema with somewhat different rows), Hardware environment (running on top of HDFS with larger number of nodes (5 or more)), No requirement of RDMS (without features like transaction, triggers, complex query, complex joins, etc.) and Quick access to data (only if random and real-time access to data is required).In complex systems of BigData analysis, HBase and Hive – important Hadoop based technologies can be used in conjuction also, for further extended features to reduce the complexity. Apache HBase is the current top level Apache project which was initiated by the company in the name of “Powerset”. The process was to process a large number of data and make it compatible to natural language search. Facebook even implemented its new messaging platform in HBase. Data can be stored to HDFS either directly or via HBase. Data consumer reads or accesses the data in HDFS randomly with HBase. HBase stays on top of the Hadoop File System and provides both read and write access. HBase is a column-oriented database. The tables in HBase are sorted by row. The table schema represents only column families, which are commonly called the key-value pairs. A table has several column families and each column family possesses multiple columns. Succeeding column values are stored constantly on the disk. Furthermore, each cell value of the table has a timestamp. Note: The term ‘store’ is used for regions to explain the storage structure. We recommend to use HDP for learning purpose as it has all the pre-requisites already installed. We are using HDP v2.6 for demo purpose. Note: Mentioned HDP is running on IP 192.168.23.101 and port 2181 and is connecting it from local system. For DML operations, need to use HTable class. Following is the code snippet for the same. Don’t forget to close HTable after finishing. Check Permission: The “user_permission” is used to list all the permissions for a particular created task. Looking to the business perspectives for the acceptance of HBase and using it as a prominent solution for fetching out and synchronizing data, it is wiser to look into the benefits of it and then select it, in context of others. Apart from, Scalability, sharding, Distributed storage, Consistency, Failover support, API support, MapReduce support, Backup support and Real time processing are the core features that make it unique from others. In a nutshell, it surely revolutionize the existing system to synchronize the structured and unstructured data.